If you are reading this... we're on our way to the beach!! A week at the beach is my ideal vacation, but I know the thought seems stressful for some. I promise that as long as you are well prepared, beach trips don't have to be a major headache. You are going to want to have a plethora of toys to keep your toddler entertained, as well as various ways to keep them shaded from the sun. 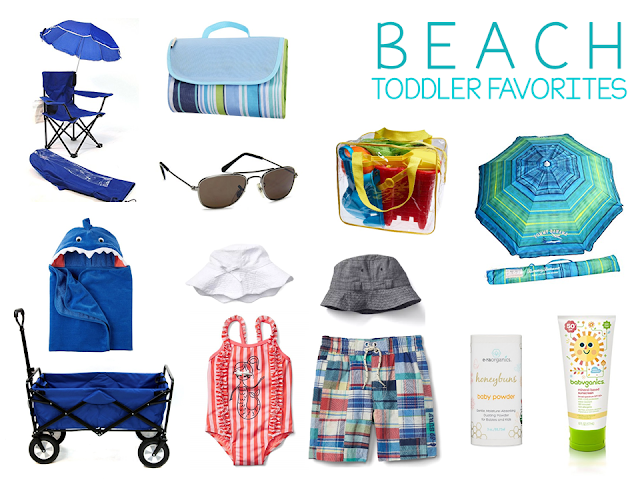 We make sure to always take our large beach umbrella and baby sunscreen. When we can get him to keep them on Jacob wears a hat and sunglasses as well. You definitely want a mesh bag for all your beach toys - it allows all the sand to filter out when you toss them in there! One of our best beach secrets is baby powder - it gets sand off little bodies like nothing else! Your toddler will love having their own little chair, and I always look for the ones that come with their own little umbrella - more shade! A beach buggy is super high on my wish list for this summer, you can load all your gear AND your kid inside and the big wheels make it easier to pull across the sand! 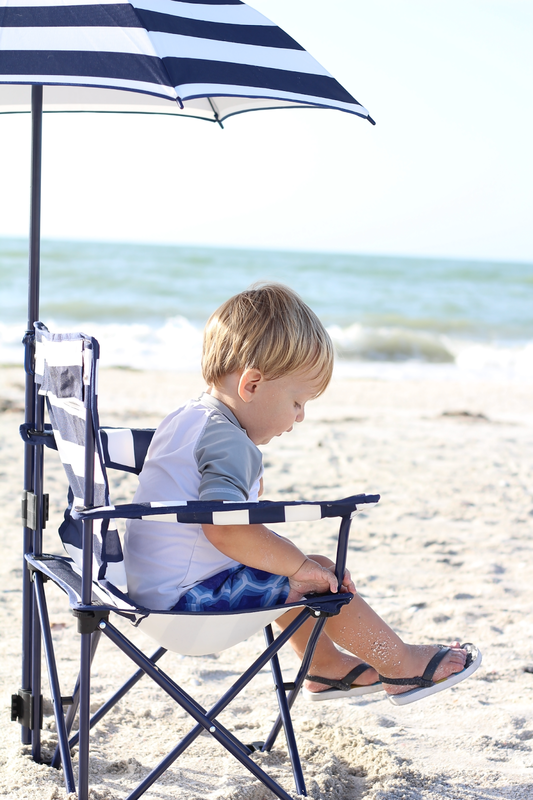 3 comments on "Toddler Beach Favorites"
Thanks for sharing the beautiful post about the beaches. This is very much interesting to go through. I wish everyone should spend their holidays in this way only.